Seven new generation polyclinics which will bring a range of services under one roof have been opened in London. Junior Health Minister Lord Ara Darzi opened Loxford Polyclinic in Ilford, east London, which promises 20 services including a healthy living cafe. The clinic will serve 50,000 people and will offer GP services, a healthy living cafe, a rehabilitation gym and other services seven days a week. Critics believe "super-surgeries" will threaten traditional GP services. 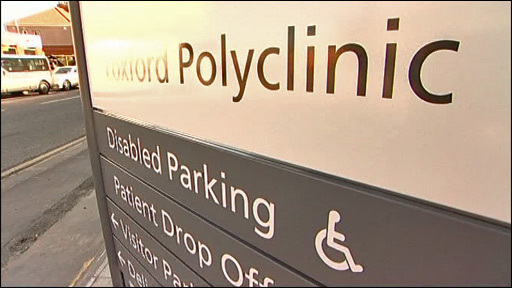 The government says polyclinics will act as a hub with surrounding GP surgeries and pharmacies but critics, including the British Medical Association, say the centres may damage trust between the patient and GP and undermine continuity of patient care. NHS London plans to open a further 24 polyclinics across London in the next five years. 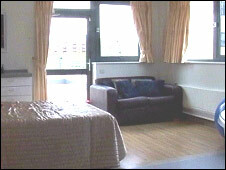 The flagship clinic in Loxford will care for people in some of the most deprived wards in the borough of Redbridge and has some of the worst health inequalities in London. Statistics show the average life expectancy of a male in Loxford is eight years less than someone living in more affluent wards of Redbridge. Levels of cardiovascular and respiratory diseases, smoking, alcoholism and drug use are also higher than in other areas. Heather O'Meara, chief executive of NHS Redbridge, said: "We are confident that the polyclinic will be able to deliver on its promise of not just treating people but improving the health of the local community. "It's a really exciting project with huge potential to address a whole range of health issues from prevention to better self management of long-term conditions like diabetes." Loxford Polyclinic will also have up to 15 community groups to run 'well-being' services, including benefits, employment, housing and domestic violence. The polyclinics will bring a range of services under one roof.